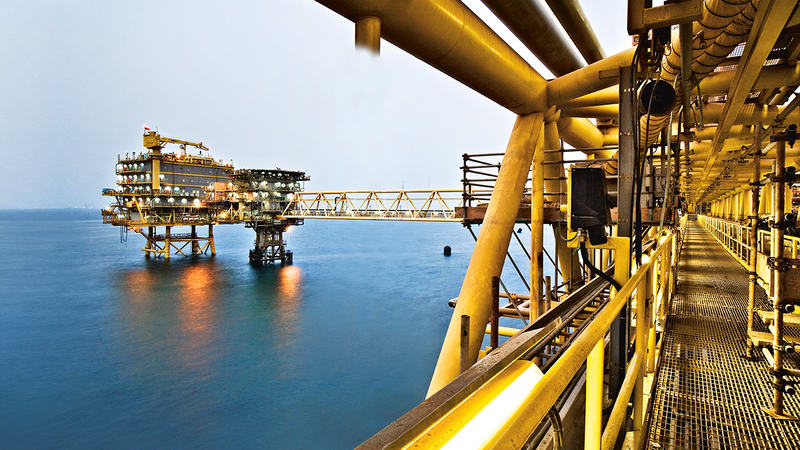 During platform and bridges handover from the EPIC contractor, several punch items were raised concerning the system integrity of 18 glass reinforced epoxy (GRE) piping systems on four Al Shaheen platforms. Maersk Oil initiated a design project with the purpose of implementing all remedial actions required in order to achieve a safe and reliable GRE installation with respect to sea water, produced water, reject oil and fire water systems. Ramboll was awarded the high volume detailed design project. It involved surveys, maintenance, modifications and optimisation of supports for all 18 GRE piping systems. The scope of work was mainly process, piping, instrumentation and structural but all disciplines were involved. As a first step, a 3D laser scanning survey to identify the as-built status of the pipe system was initiated by Ramboll, covering produced water, reject oil, fire water and sea water systems, including water injection system. This was supplemented by a visual survey that included gaskets, wrapping, glued joints, support functionality and support locations, as installed by the EPIC contractor. Based on a technical note issued by Maersk, findings from the site survey and as-built P&ID’s and isometrics, Ramboll initiated the design phase of the GRE project by defining the scope to be covered under this project. Ramboll worked in close co-operation with the client’s stakeholders, covering areas such as production, operation, maintenance and engineering. The use of Ramboll’s 3D surveys saved valuable time and provided precise and detailed data on the piping system which eased the project execution and significantly reduced the overall costs of the design process. The project started in May 2012 and is planned for offshore completion in 2015.